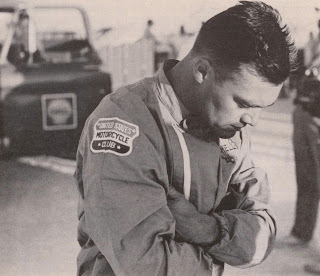 Some people are content with driving fast but Craig Breedlove was only content if he could drive faster than anyone had ever driven before. * August 5, 1963 – 407.45 MPH in Spirit of America at Bonneville Salt Flats, setting the world record and the first person to go faster than 400 MPH. * October 13, 1964 – 468.719 MPH in Spirit of America Sonic 1 at Bonneville, reclaiming the record from Art Arfons. * October 15, 1964 – he broke his own record and was the first to go faster than 500 MPH, at 526.277 MPH in Spirit of America Sonic 1 at Bonneville. 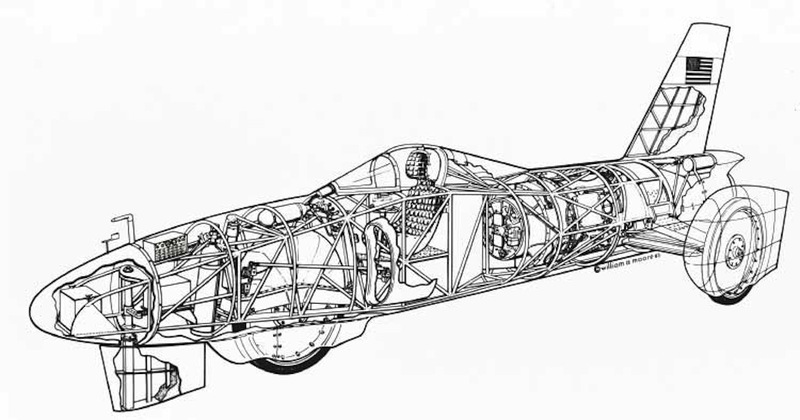 * November 2, 1965 – 555.483 MPH in Sonic 1 at Bonneville, reclaiming the record from Art Arfons again. 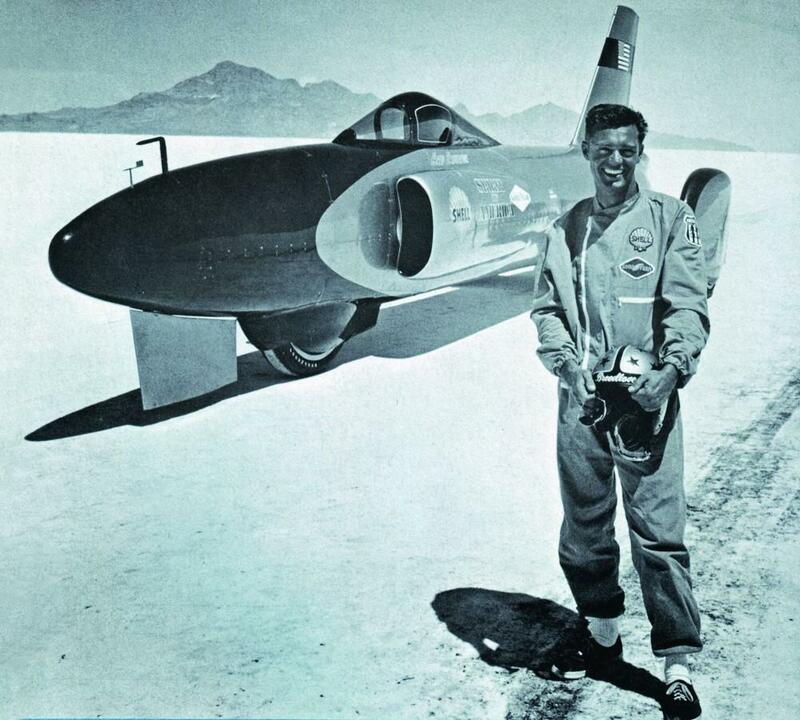 * November 15, 1965 – he was the first to go faster than 600 MPH at 600.601 MPH in Sonic 1 at Bonneville. This was the record until 1970 when Gary Gabelich reached 622.407 MPH in the Blue Flame. In 1997 Andy Green set the current world record at 763.035 MPH, also breaking the sound barrier in the Thrust SSC. Man against nature, man against machine and man against man. This is the essence of trying to be the fastest in the world. Craig Breedlove did have competition but he, and his Spirit of America, stand out from the crowd. The Spirit of America was powered by a jet airplane engine as were the competition. 1963 – world land speed record is broken – more than 400 MPH in the video below. This video is a Goodyear commercial celebrating another record at more than 600 MPH. Drawing courtesy of Bill Moore, provided by Samuel Hawley.